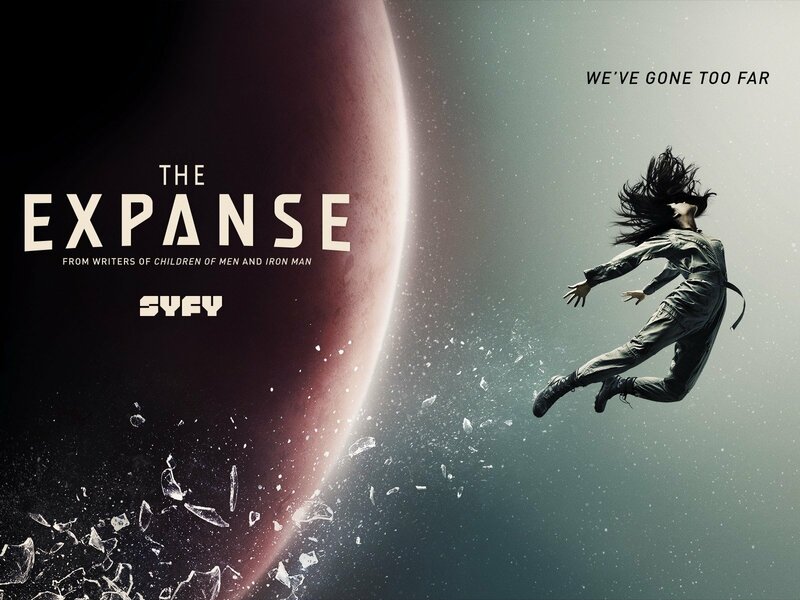 The Expanse is a SyFy network original series that is now nearing the end of its third season. The Expanse is the most imaginative and absorbing science fiction series since the reboot of Battlestar Galactica (2003–2009). The Expanse is based on a series of novels by S. A. Corey. I have not read them, so I cannot judge the accuracy of the adaptation, but I am delighted that there are eight, soon to be nine novels, which will provide material for future seasons. SyFy canceled the series after the ongoing third season, but Amazon Video has picked it up. So I hope that we will all be binge-watching The Expanse for years to come. The Expanse is set more than 200 years in the future. Mankind has colonized Mars, the Asteroid Belt, and the moons of Jupiter and Saturn. The Earth is ruled by the United Nations. Former nations are referred to merely as “economic zones.” Once gifted with abundance, the Earthlings thought only of present, personal indulgences, not the future of mankind, leaving the world massively overpopulated and polluted. A lot of the population is unemployed and exists on the dole. Mars, by contrast, has a forbidding environment which has bred a Spartan ethos. The entire planet is dedicated to terraforming Mars to create a livable environment for distant future generations. The Earthlings, of course, regard the Martians as fascistic. In the Asteroid Belt and beyond are the “Belters,” the frontiersmen of the system. They do not, however, resemble American pioneers so much as the proletarian rabble one would find in seaports. Their culture seems like a fusion of Irishmen, Juggalos, and the global South, forever haggling, carousing, toasting, and complaining about injustice in a sing-songy, Irish-Jamaican inflected pidgin English. Like all cultural products today, the casting of The Expanse is maximally politically correct and diverse, with whites, blacks, Asians, Middle Easterners, South Asians, and all manner of mystery meat. There is also maximum cultural eclecticism and confusion. An Iranian actress plays an Indian woman named Crisjen Avasarala. A white man is named Sadavir Errinwright. A Chinaman is named Jules-Pierre Mao. A mulatto bears the name Naomi Nagata. And, most ridiculously, an Iranian actor plays an Arab from Mars who talks like a good old boy from Texas. You get the picture. 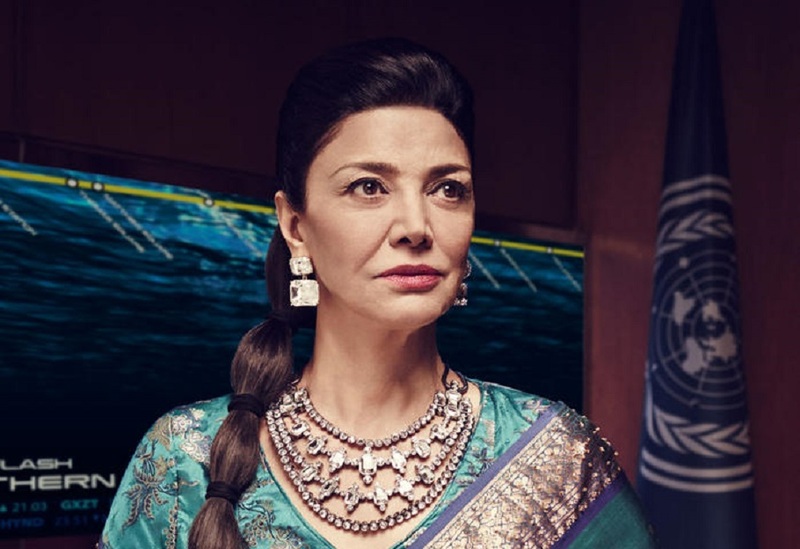 The Expanse, like other such science fiction, projects a future that is a bit more diverse and exotic than the present, ignoring the fact that if present trends continue, in 200 years, there will be no diversity. There will just be a despoiled earth swarming with a homogeneous population of brown hominids who are too dumb and violent on average to sustain and advance technological civilization. Politically correct science fiction defers the ultimate consequences of diversity to a still more distant future because viewers would be revolted by a vision of panmixia. They would not watch shows populated exclusively by people with whom they feel no identification. Beyond that, whites today cannot be taught to miscegenate our race out of existence if we cannot identify with people on the screen doing the same thing 200 years from now. 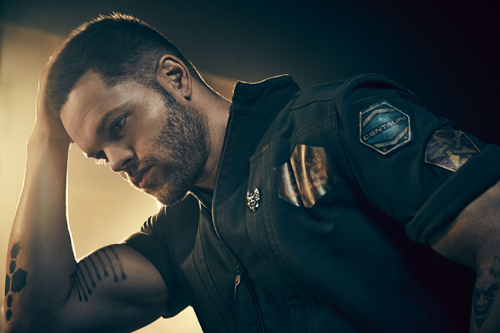 Thus The Expanse features two very white Alpha Males James Holden (played by Steven Strait) and Amos Burton (played by Wes Chatham), both of whom regard the mulatto Naomi Nagata as a sexual prize. Holden, the main hero, actually ends up sleeping with her (of course). In short, the purpose of politically correct science fiction is not to portray the homogeneous dystopia of “diversity,” but to promote it by treating miscegenation merely as a way of expanding individual sexual options while veiling the ultimate collective consequences from us. But if you can set aside the odious racial politics of The Expanse (which is no worse than anything else on TV) and just focus on the story, the series is highly rewarding. The plot of the first three novels/seasons deals with mankind’s first contact with an intelligent and deadly alien life form, and the almost complete inability of our ruling elites to deal with it in a rational, prudent, and ethical manner. Instead, The Expanse offers a portrait of a civilization whose political, economic, and scientific elites are almost entirely sociopathic. When the alien life form is first encountered by industrialist Jules-Pierre Mao, it is simply a blue goo which is dubbed the “proto-molecule.” Mao’s first reaction is to weaponize it and sell it to the main rival powers, Earth and Mars. To do that, however, human guinea pigs are required, and to remove any moral qualms about such experiments, a group of scientists voluntarily undergo a procedure that turns them into sociopaths. And once they become sociopaths, well, there’s no limit to the scope of their experiments. The proto-molecule, however, apparently having assimilated a sufficient number of human test subjects, attains a kind of emergent intelligence. It develops a mind and agenda of its own, which sets the system reeling. Mankind is standing on the brink of the greatest discovery—and the greatest danger—in its history, so naturally the imbeciles who run Earth and Mars go to war. It is all extremely bleak and chilling, but highly imaginative and involving. Of course there would be no story without some good characters who do their best to save mankind from the proto-molecule and an even more formidable enemy—our own leaders. The good guys are the crew of the spaceship Rocinante: James Holden, who is a morally earnest knightly hero; Naomi Nagata (Dominique Tipper), the engineer; Alex Kamal (Cas Anvar), the pilot; and Amos Burton, a mechanic and thug. Other good characters are UN Deputy Undersecretary Crisjen Avasarala, played by the Persian actress Shohreh Aghdashloo; Avasarala’s faithful paladin and spy, Cotyar Ghazi, played by Lebanese actor Nick Tarabay; Martian soldier Roberta Draper, played by a Polynesian actress Frankie Adams; Methodist minister Annushka “Anna” Volovodov, played by Elizabeth Mitchell; and Joe Miller, a detective on Ceres Station in the Belt played by Thomas Jane. All of them stand out by having a moral center and working to prevent humanity’s (self-)destruction. My favorite characters are Avasarala and Amos. The husky-voiced Avasarala dresses and comports herself like a Bollywood diva. She is a powerful woman who has not masculinized herself in the least. She is shrewd and ruthless, capable of using Machiavellian means to moral ends. She ends up saving, and ruling, the world—and deserves it. Amos is a thug with a sketchy past from Baltimore, which has not mellowed in 200 years. A lot of viewers probably regard him as a “psycho,” and perhaps they are meant to. But Amos clearly has a moral compass. He is capable of loyalty, justice, and righteous anger. What makes him scary to most people is that he is quintessentially Aryan: taciturn, cold, hard, unsentimental, and utterly ruthless in meting out death to evildoers. Played by the hulking, charismatic Wes Chatham, Amos steals every scene he is in. Like many series, The Expanse had a bit of a wobbly start before getting its stride. I confess, for instance, I find the noir gumshoe shtick of Miller, who is prominent in the first season, to be annoying and often ridiculous. But after the second episode, I found myself binge-watching to the end of season two. With its complex characters and plots and its gritty, near future setting, The Expanse has much of the same appeal as Firefly —and given that Firefly is one of the best science fiction series ever, that is a strong recommendation indeed.